How safe is your drinking water? Find out with the PurTest Drinking Water Test Kit for Lead Contamination. This accurate test indicates the presence of lead or copper. Two tests for copper and one for lead are included. There?s no need to wait for results or send water samples to a laboratory; this easy-to-use kit provides results in mere minutes. The award-winning PurTest kits are laboratory-certified and follow testing methods based on EPA procedure. 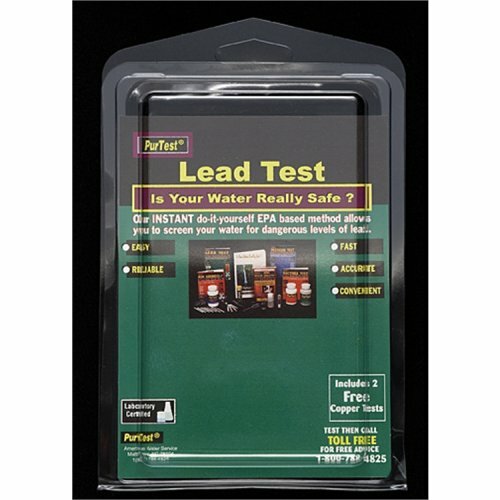 Choose the PurTest Drinking Water Test Kit for Lead Contamination, and be sure each sip is clean and healthy.